Welcome home to this METICULOUSLY MAINTAINED 4 bedroom LAKEFRONT HOME that is in BETTER THAN NEW CONDITION. You are going to appreciate the fact that the home NEEDS NO WORK and is MOVE-IN-READY. Upon entering you’ll be impressed by the TASTEFUL DECOR and VIBRANT COLOR SCHEMES as well as the BEAUTIFUL HAND SCRAPED WOOD-LOOK TILE FLOORS. The home features formal living and dining rooms as well as a nice sized family room that spills over to the kitchen. The kitchen features staggered SOLID MAPLE CABINETS WITH CROWN MOLDINGS, CENTER ISLAND, GRANITE COUNTERTOPS, RECESSED LIGHTING, STAINLESS STEEL APPLIANCES, BREAKFAST NOOK AREA AND PRE-WIRED FOR PENDANT LIGHTS. All the bedrooms are good sized and on the second floor. The master bedroom (17x15) boasts GREAT LAKE VIEWS and features a master bathroom with dual vanity high top sinks, garden tub with separate shower stall, linen and walk in closets. 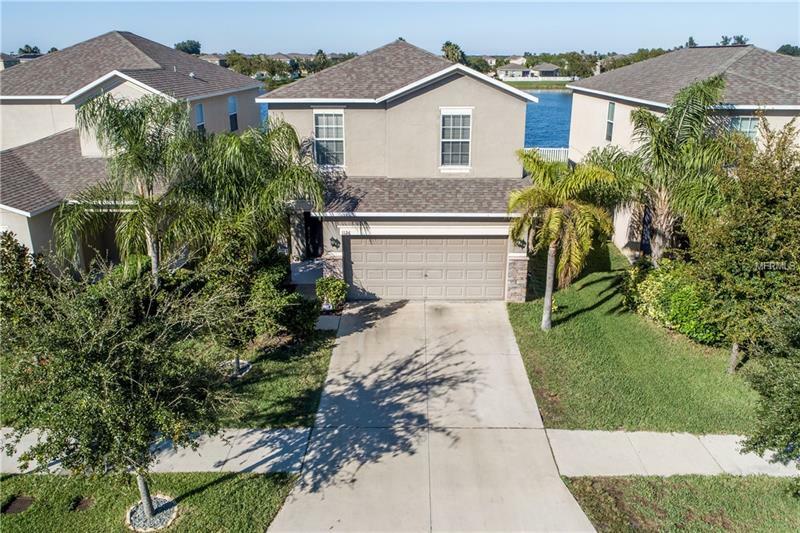 Other features include: 100% FINANCING OPTION (CALL FOR DETAILS), NO FLOOD INSURANCE REQUIRED, HYBRID HOT WATER HEATER FOR ENERGY SAVINGS, LOW HOA & CDD FEES, CLOSET STORAGE UNDER THE STAIRS, STRUCTURAL COVERED LANAI AND MORE. Call to view TODAY before its gone!